Hey everyone, been lurking for awhile and finally getting around to doing a build thread. 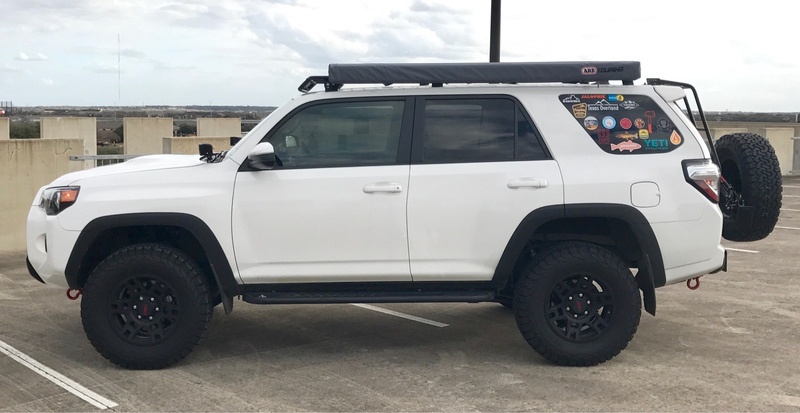 That's a damn good looking 4Runner. Slick looking rig. 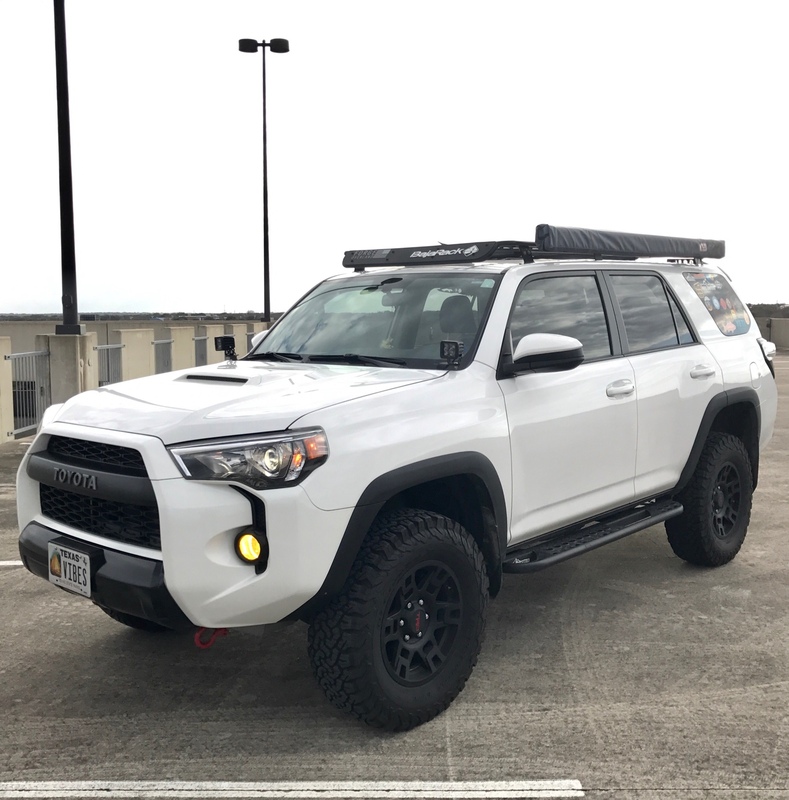 I'd like to hear more about the fender flares/trim. Plasti-dip, roll-on bed liner, spray on bed liner, something totally different? It was the fender trim that I liked so much about the previous generation Trail Editions. You've done a great job reproducing that look. Any more close-ups of the front and rear fenders? 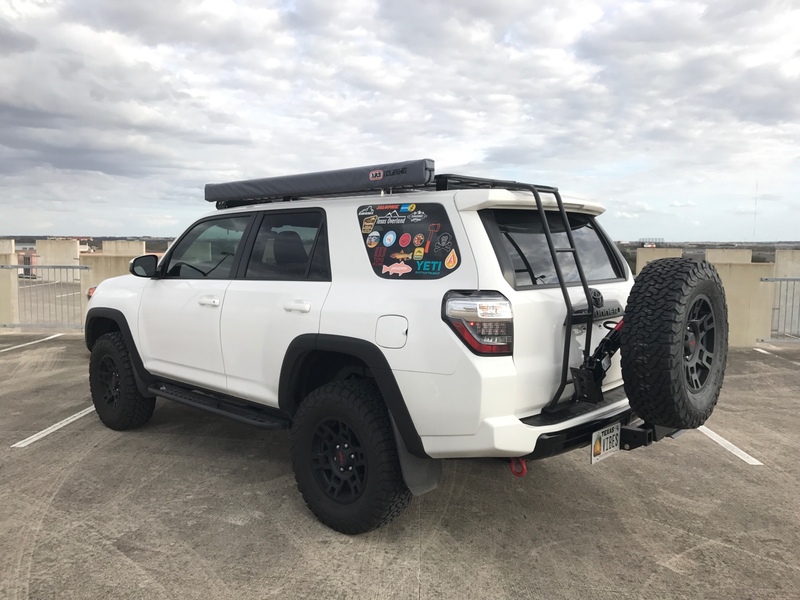 I've got a few pics of the plastidip fenders in my thread. It's not too bad overspray by an inch or so then peel. It will break where the seam is. Where there isn't a seam. I used An xacto knife to score a line following the fender. Then peel away.